Dr. Pema Dorjee was born on July 01, 1950 in Lhodrak, Central Tibet. When he was nine years old, his parents fled to India as the Chinese invaded Tibet. 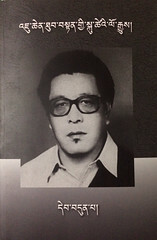 He was an alumnus of Central School for Tibetans, Darjeeling where he studied from 1961 to 1968. He completed his medical studies in 1975 under the renowned professor Dr. Barshi Phuntsok at the Men-Tsee-Khang, the Tibetan Medical and Astro Institute. A distinguished student, Dr. Dorjee was selected to complete his internship under Dr. Yeshi Dhonden, the personal physician to His Holiness the Dalai Lama. After completing his internship, he directed various branch clinics of the Men-Tsee-Khang in Nepal, New Delhi, Dharamsala, Itanagar, Calcutta and most recently, Salugara, West Bengal. During Dr. Dorjee’s tenure at the Calcutta clinic, the Indian publication Telegraph Magazine did a cover story about his work, calling him a “Miracle Man.” He was instrumental in the development of the Tibetan Medical and Astrological Institute (TMAI) in Dharamshala, India. On 18 August 2000, Dr. Dorjee was appointed as the General Secretary of Men-Tsee-Khang. 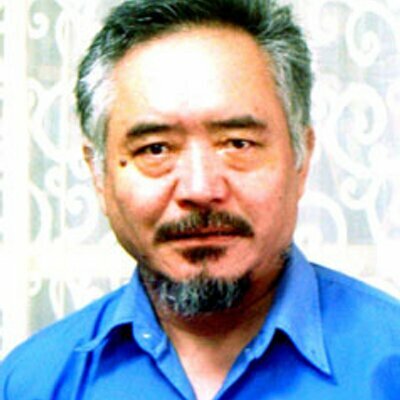 Later, on 18 August 2003, he worked as the Technical Advisor to the Research and Development Department, where he collaborated on various medical research projects around the world on the efficacy of Tibetan medicine for treating chronic illnesses such as Hepatitis C, leukemia, and other forms of cancer. Dr. Dorjee was elected the first chairperson of the Menpa Lhentsog (Central Council of Tibetan Medicine) from 2004 to 2007. In 01 April 2012, Dr. Dorjee retired from Men-Tsee-Khang. He then worked as a visiting professor at the Central University of Tibetan Studies, Sarnath. Dr. Dorjee also served as the Cultural & Literary Officer of Tibetan Youth Congress from 1983-86. Dr. Dorjee participated in the Second International Congress on Tibetan Medicine, held in Washington, D.C. in 2003. He was facilitated with many honors and awards, including the Gold Medal and the Gem of Alternative Medicine from the Indian Board of Alternative Medicine in recognition of his dedicated service to Tibetan medicine. Dr. Dorjee traveled extensively representing Tibetan medicine at various international symposiums and conferences and to give consultations throughout the world. Dr. Dorjee wrote two books and had contributed numerous articles on Tibetan medicine. He had also translated textbooks from other medical systems into Tibetan. Dr Dorjee was a Visiting Physician to His Holiness the Dalai Lama from 2001 to 2002. After prolong illness, Dr. Dorjee passed away in Dharamshala on 08 September 2015. He is survived by his wife, two daughters and a son.